A 10K/8K waterproof-breathable pant that keeps you dry, 686's Dulca Snowboard Pant is a reliable partner on the mountain. Its tough poly-nylon shell is lined with buttery taffeta for better comfort down below. Boot gaiters seal up the cuffs, and critically taped seams enhance the fabric's weatherproofing. If you start getting too warm, pop open the ventilation and let the breeze flow through. "Does the Ivory color have a tweed look to it? I'm looking for a size small. Thanks!" 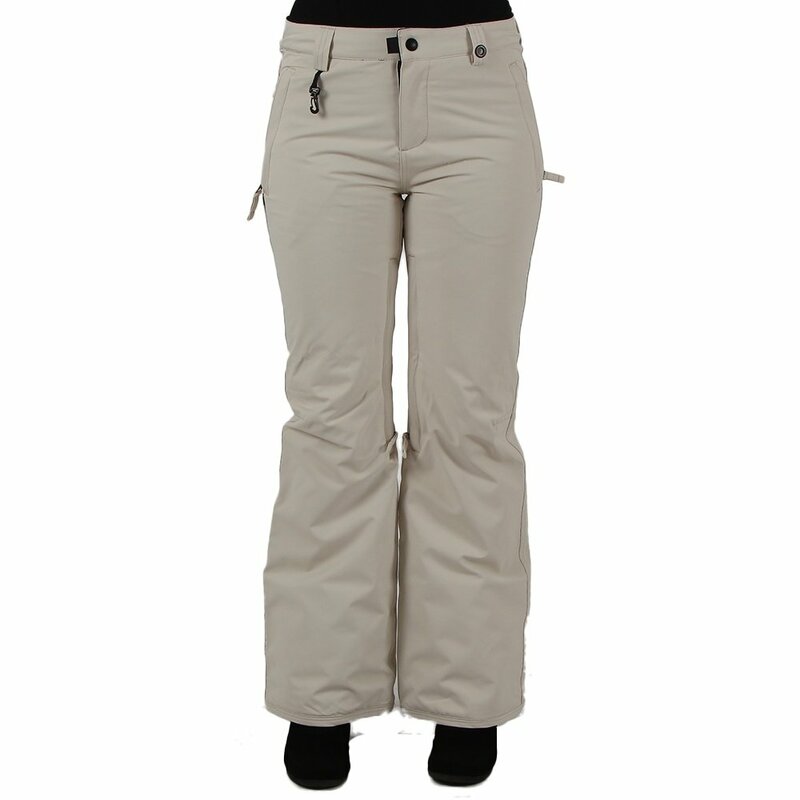 "The 686 Dulca Insulated Snowboard Pant in Ivory does NOT have a pattern." "What is coffee color? Is it a really dark brown or is it a grayish black or just black?" "Thank you for your inquiry. The 686 Dulca Insulated Snowboard Pant in the color coffee is a very dark brown. We hope this information helps! "